Advertising methods may have changed, but disclosure requirements haven't. "Advertising violations are such a low hanging fruit for the FTC and other regulators. Those violations keep me up at night." Spoiler alert, it's B. Nearly 100,000 complaints last year were drawing the FTC's attention to dealerships, and not in a good way. It's dangerously easy to be one of those dealerships. Don't be. Download the FTC Compliance Cheat Sheet. 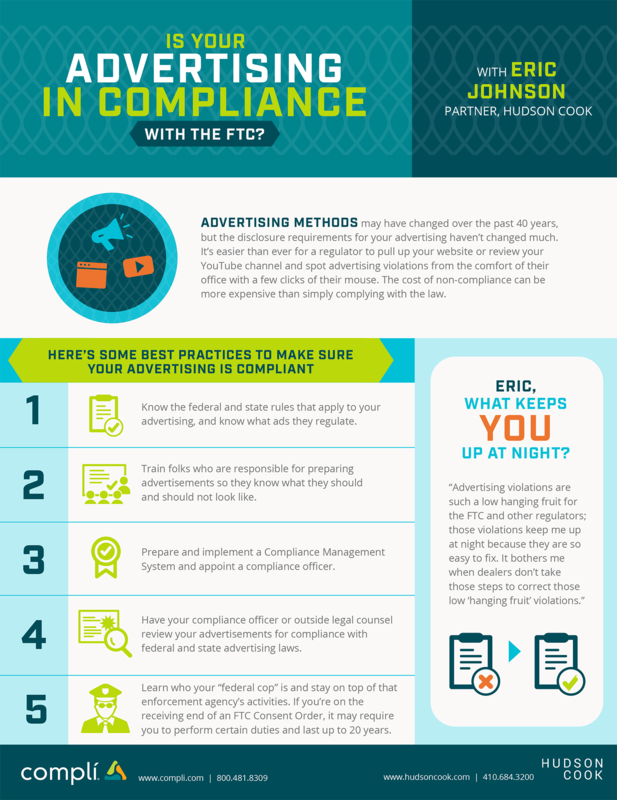 Compli teamed up with Eric Johnson, Partner with the law firm Hudson Cook to create this helpful FTC cheat sheet with some best practices to help your advertising stay compliant and you out of the FTC's cross hairs. 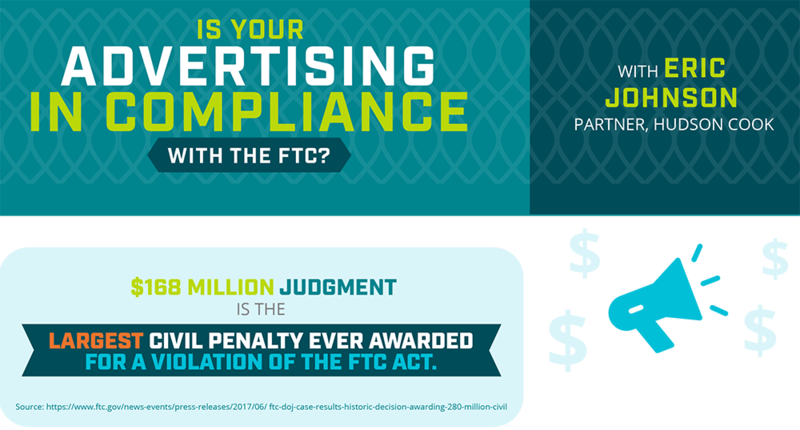 Download the FTC Advertising Compliance Cheat Sheet Now.